Let our floor maintenance experts help you with your floors! Eco Cleaning Services, Inc. offers professional commercial floor cleaning services that include a wide variety of floor care services. 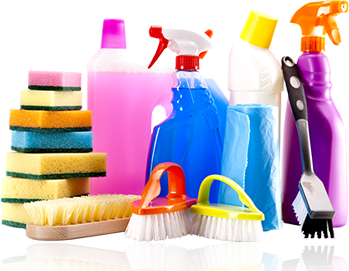 Depending on the type of floor on your premises, which need to be cleaned, and their makeup and texture, Eco Cleaning Services, Inc. has a wide range of floor cleaning expertise to offer you. To be done professionally, tile floors must first be stripped and then expertly rinsed. Once cleaned, a follow-up floor sealer is applied, along with high quality floor finishing. The floor is then left to dry completely, before it is buffed to bring about a highly glossy shine. As one of the most experienced commercial floor cleaning companies in the business, Eco Cleaning Services, Inc. specializes in cleaning all types of floors. When it comes to wood floors, cool mopping is the first order of business, with paste waxing to follow. Then, if required, that’s followed by high-speed bussing. Some wood floors may also require pre-sanding, as part of the overall floor cleaning services, before the entire cleaning process commences. Our commercial floor cleaning services also include caring for marble floors. For Marble floors, it’s best to start the process with floor scrubbing, followed by floor waxing and then floor buffing. As one of the most trusted floor cleaning companies around, it matters not how large or small your floors are, or whether they are marble, stone, tiles, terrazzo…or any other – our floor cleaning services technicians have the training and the knowhow to give them the best cleaning they’ve ever been subjected to. And, we come fully prepared to offer all our Commercial floor cleaning services – with all the necessary equipment and supplies to do the job justice! Eco Cleaning Services, Inc. takes pride in creating customized floor cleaning and floor care plans that are tailored for each floor. As one of the most highly regarded floor cleaning companies in this business today, our highly trained and experienced floor care technicians will handle all your floor care requirements – from routine maintenance every day, to regularly scheduled deep cleaning, stripping, scrubbing, waxing and polishing – we’ll do it all! And to ensure your floors get a lasting visible clean, we use only the best quality floor finish and premium floor care supplies to deliver high-quality Floor cleaning services to our clients. We’ll work to customize a floor cleaning and maintenance schedule that’s built with your facility in mind. As a full-service Commercial floor cleaning services provider, we also offer daily, weekly or monthly high-speed burnishing too. With the help of our high-speed propane or electric burnishers, we’ll quickly remove scuffs and scratches like magic, giving your floors a durable and lasting shine. And depending on the amount of traffic your floors handle, as part of our floor cleaning services, we offer Scrub and Coat Service every three to six months, based on your needs. This helps reinvigorate the floors and helps to maintain their clean look with fewer cleaning and maintenance visits from our team. Eco Cleaning Services, Inc. offers a full range of commercial floor cleaning services, and is happy to meet with you to discuss your entire floor cleaning needs; explain our floor care processes, brief you on our Floor cleaning services, and understand your expectations around floor maintenance. Like every other service Eco Cleaning Services, Inc. provides, we’ll strive to exceed your expectations! If you have any floor care and maintenance needs, please feel free to call us and speak with our Floor Care specialists today about our full range of Floor cleaning services. One of our floor care experts will be glad to visit your facility and offer you a FREE Floor Care Quote with ABSOLUTELY NO OBLIGATIONS.